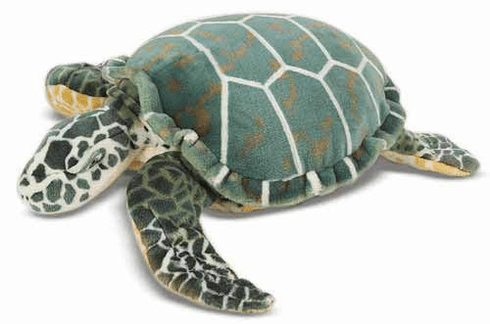 Nearly three feet long, this lifelike sea turtle is not shy! A delight to hug, use as a pillow or just snuggle up with, this realistic creature of the deep features excellent quality construction and careful attention to its lifelike markings. Approximate Dimensions: 32" x 8.5" x 28"